The mere mention of Customer Relationship Management (CRM) generates groans and rolling eyes from salespeople. It’s understandable. But it doesn’t have to be that way. In many organizations, the sales team’s reactions are somewhat justified because of the host of CRM challenges that arise at adoption. Instead of a freeway to information, it’s more like a blockade. This outcome prevents full buy-in by the salespeople and ultimately limit the value of CRM for sales organizations. According to research from Forrester, which examines the struggles to a successful CRM implementation, 22 percent of all reported problems were people-related or linked to user adoption. While many often cite the technological difficulties in implementation, the real obstacles are in winning over non-believers. 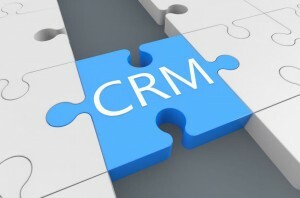 When CRM is adopted successfully, you can produce stellar sales performance results. World-class sales organizations, as defined by the 2015 MHI Global Institute Sales Best Practice Study say, “Our sales management team is highly confident in the data available from our CRM system.” (World-Class sales teams: 78%; All Respondents: 30%). 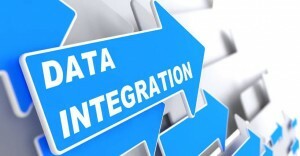 The quality of data input is the holy grail to CRM success. The account, opportunity and customer-interaction data entered by the salesperson is the most critical source of customer intelligence available. For sales to have a high degree of confidence in this data, it must be recent, accurate and trustworthy. CRM has proven capabilities to capture, store and share good customer information. CRM can roll up funnel and forecast data into dashboards and deliver real time opportunity analytics. What CRM can’t do is guarantee the accuracy or currency of the data. Confidence in CRM data is a direct reflection of the sales organization’s ability to execute its customer-management strategies naturally and consistently. Most of all, it requires salespeople to see CRM system as a productivity tool and not a hindrance to making sales goals. Here are four keys to improving adoption. The first step in getting salespeople to adopt the CRM system is to show clearly how inputted data is a powerful weapon in their sales process. When used correctly, CRM systems are not only a great organizer of all the important account and customer/client information, but they also provide tremendous customer visibility. In one glance, salespeople can pull up all the essential account information needed to streamline their customer acquisition work and close more deals. Imagine. A call comes in from a key decision maker on a prospect account. Up pops notes on their last meeting with actions steps agreed to. That organizational convenience, coupled with the 360-degree inside view of the account, is the engine to open and land new business, which flows into the pockets of the sales team. 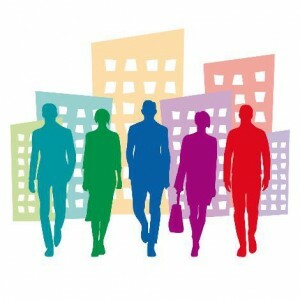 What’s more, CRM systems provide the capability to generate reports and perform trend analyses. This deeper dive into account behavior, augmented by internal sales processes, gives sales reps the power to diagnose issues in their sales process before they become a problem. The sales coach or sales manager can use this information to build confidence in management in the accuracy of the sales forecast, always a bone of contention. It takes time to enter data, in part because CRM adoption does not easily integrate with the process the sales team actually uses. And change is painful. Make sure you have scouted this problem out ahead of time to find a CRM system that is versatile enough to include third-party processes, or find alternatives ahead of time. The innovators behind CRM systems like salesforce.com have realized that, while they could provide their clients with an exceptional on-demand CRM foundation, end-users wanted access to even more, including best-in-breed specialty applications to meet the needs of every stakeholder in the sales organization. The company created an ecosystem to enable developers to build specialized applications that clients could easily add to their salesforce.com platform. One example of a significant AppExchange success is Miller Heiman’s Sales Access Manager™. Many organizations had some serious challenges enabling their sales process with the technology. Thanks to salesforce.com and the AppExchange, we have been able to create electronic versions of Strategic Selling® Blue Sheets (Strategic Analysis) and Conceptual Selling® Green Sheets (Meeting Plans) and connect these directly into the CRM. These tools, used daily by the salespeople, create new opportunities which can be managed to closure. So, when you take a proven process to simplify the complex sale and integrate the tools into the CRM, you drive efficiency: Salespeople enter data once and then leverage it throughout the sales process. Because they’re using the sales process they rely on for their success, they’re more effective in day-to-day operations, and the sales funnel offers greater accuracy than before. Without full adoption of the CRM system within all tiers of your organization, you unwittingly limit its vast capabilities. Yes, salespeople stand to benefit most from entering and organizing their important account information, but other departments such as marketing and any customer-facing employees also gain much from mastering the CRM. CRM systems have evolved from SFA (sales force automation) systems into integrated, social and collaborative CRM platforms, which are accessible on any device by all customer/client-facing persons. State-of-the art CRM systems encourage engagement and collaboration with prospects, customers, and clients, within the sales department and across functional departments. The best collaborative CRM systems are designed around the salesperson’s context. For instance, CRM systems must integrate content and training services along the entire prospect/client’s journey to ensure that salespeople can access the right information, content and selling insights at the right time. If you’re still skeptical, in the 2015 MHI Global Sales Best Practice Study, 85 percent of world-class sales organizations said, “Our CRM system is highly effective for enabling our organization to collaborate across departments,” compared to 26 percent of all respondents. Finally, make sure that all of your salespeople get all the training they need until they are as comfortable as possible with the capabilities of the CRM system. Make it part of your culture. This is an important shift in corporate mindset because many organizations are rethinking how they take their products and services to market. Prospects buy differently today. 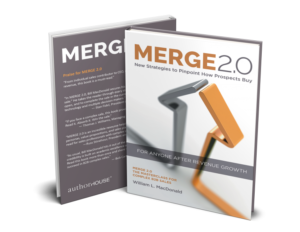 You must develop a sales process that is closely aligned with how prospects buy. And you need the right data to do it. If you are in a position to facilitate change, give your sales team a CRM system designed to store and deliver accurate, relevant data that facilitates the selling process. It has the power to turn your sales team into a world-class sales organization. Soon, everyone on your team will become true believers.